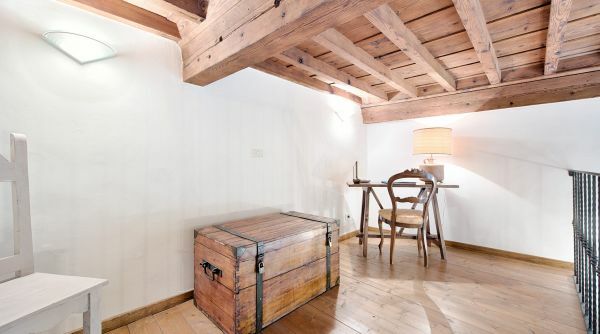 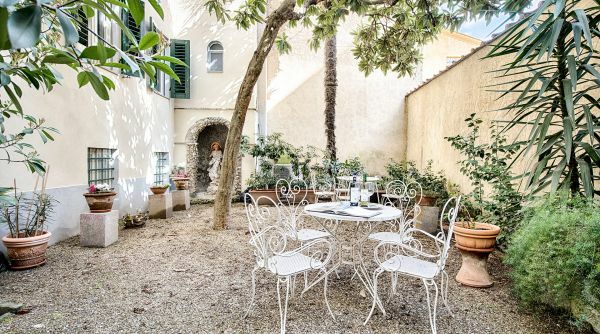 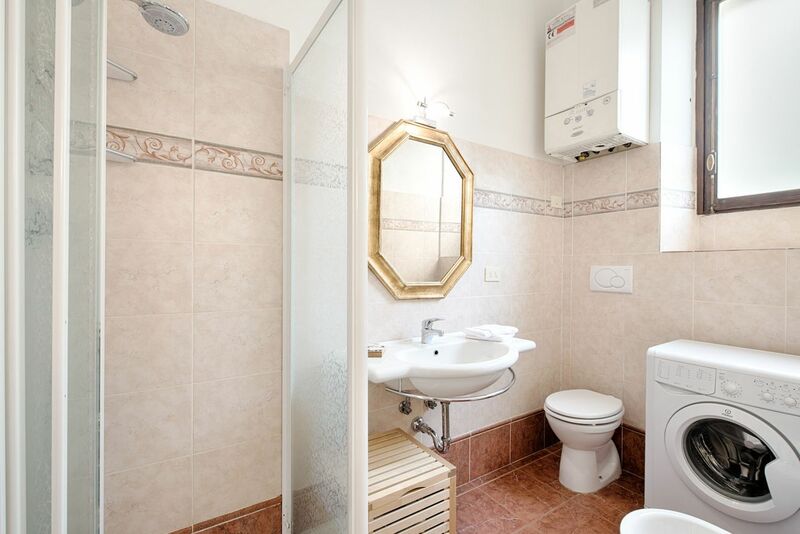 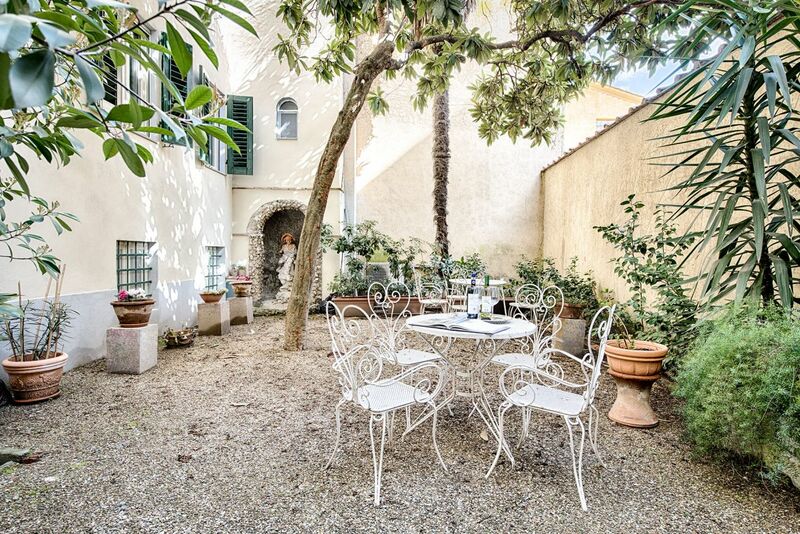 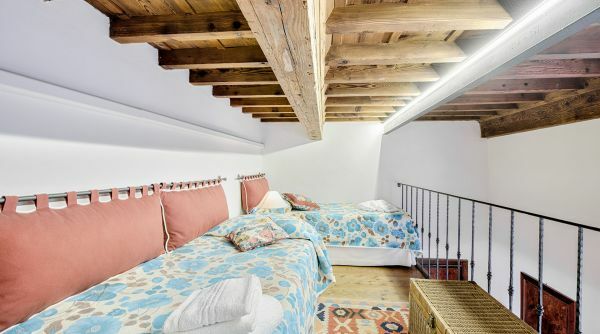 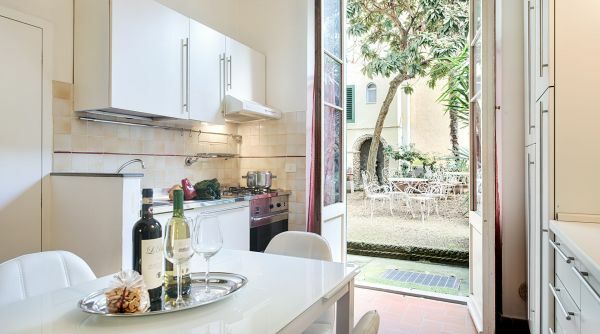 A delightful apartment located in via Laura, an excellent position in the historic city center, with the added tranquility of an enclosed garden space. 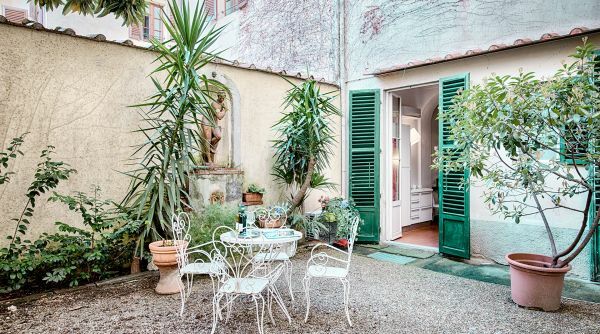 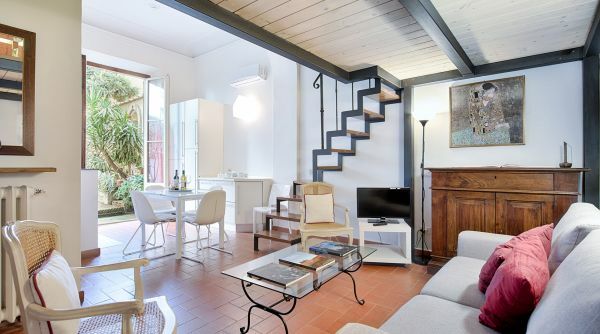 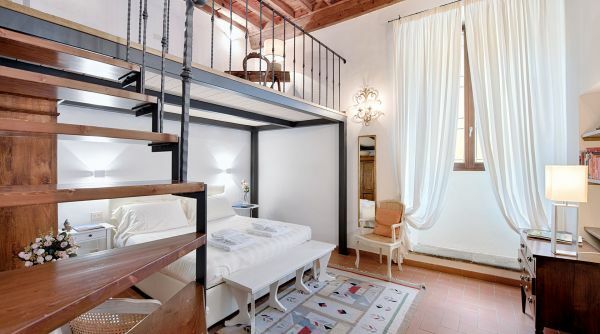 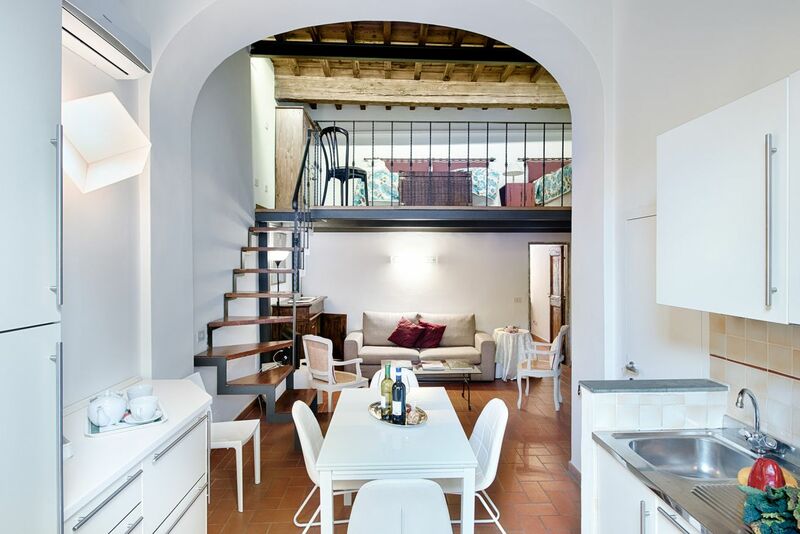 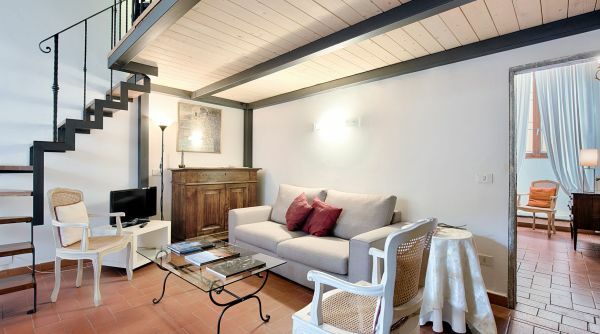 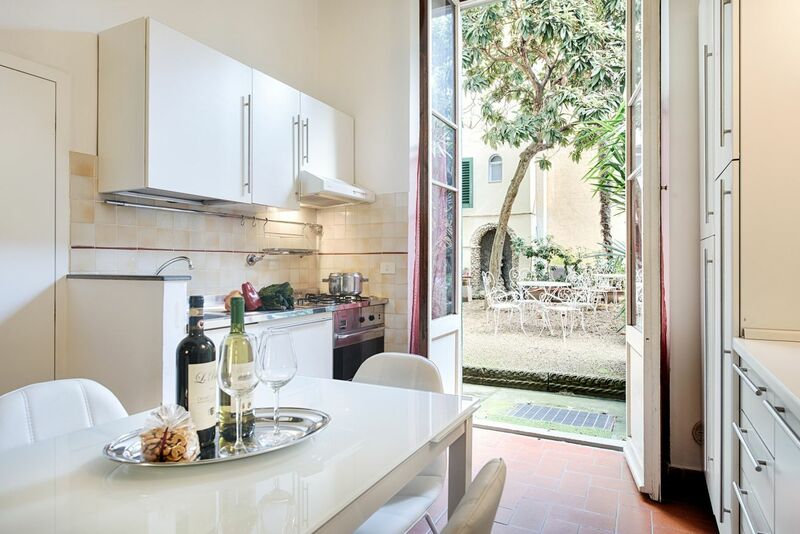 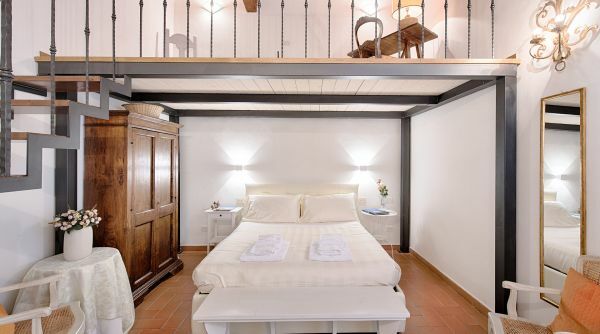 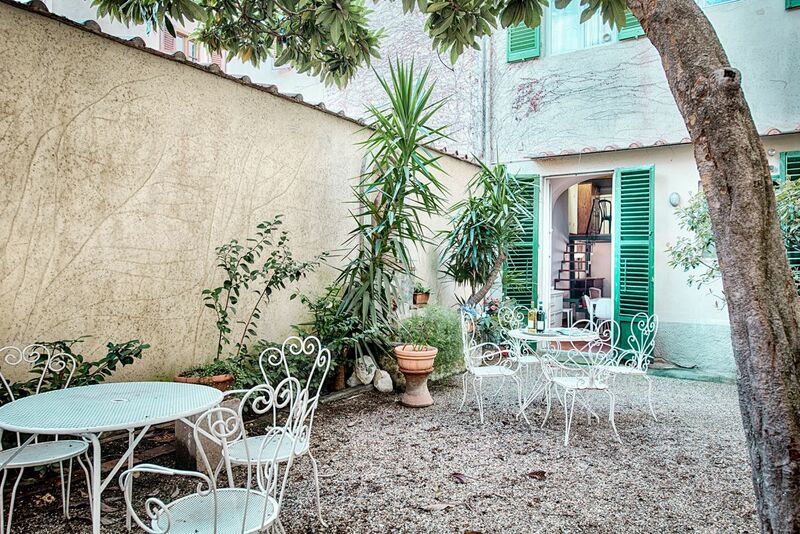 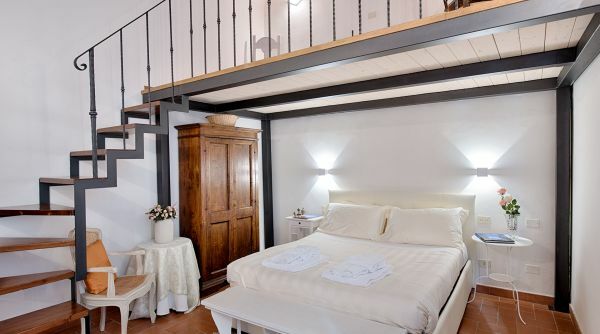 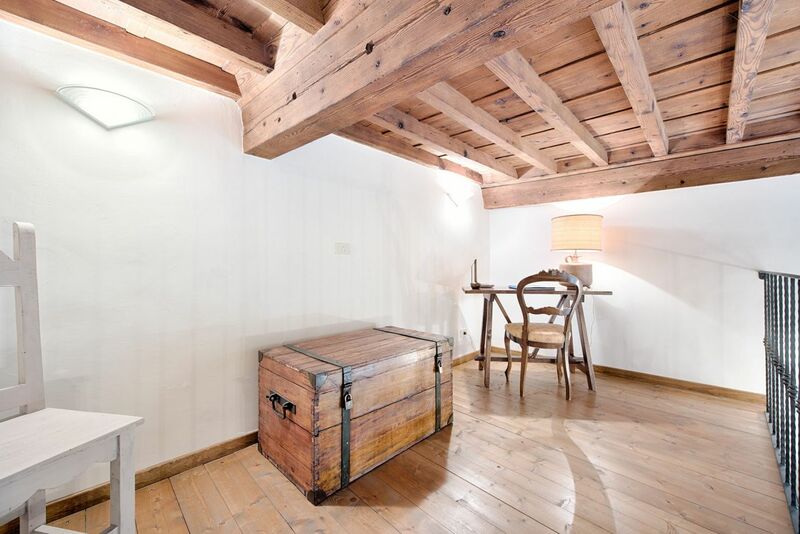 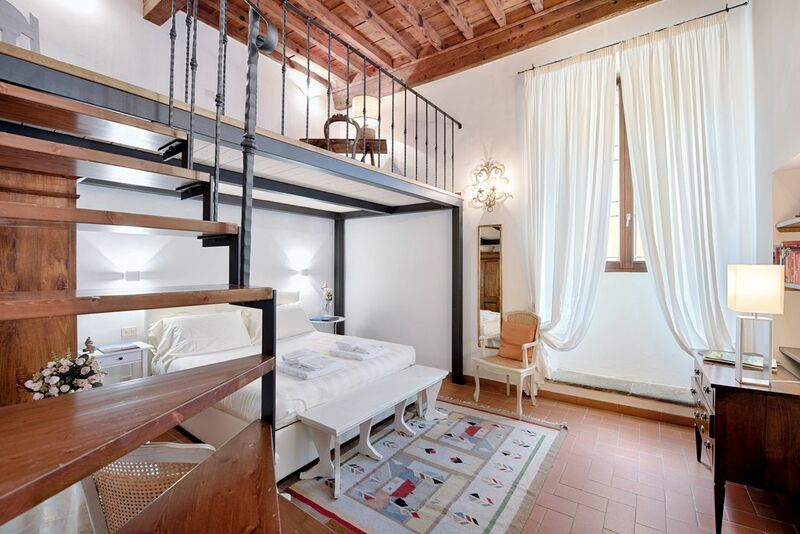 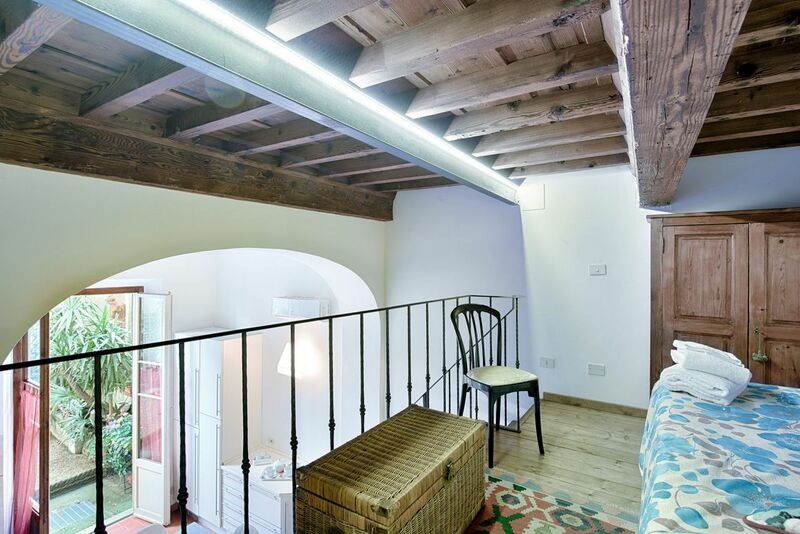 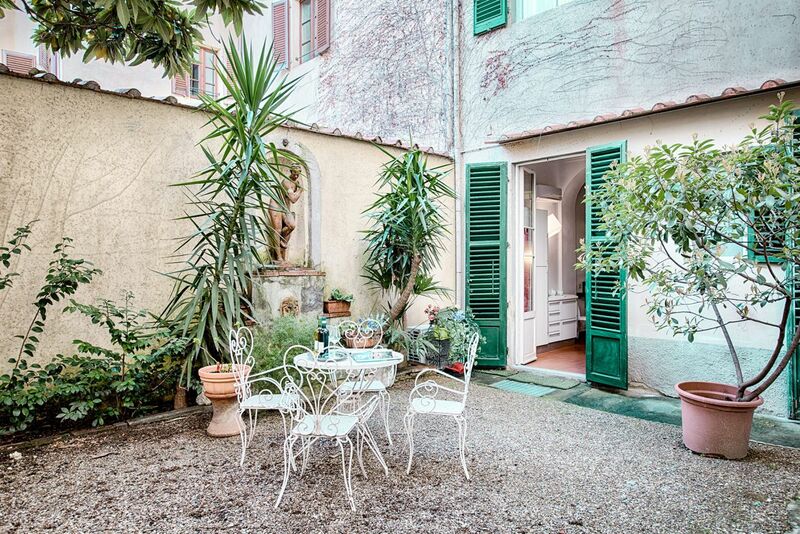 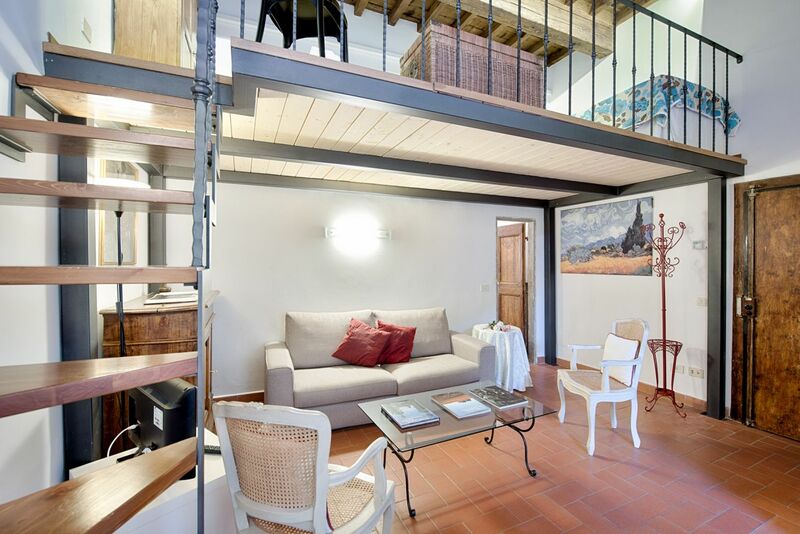 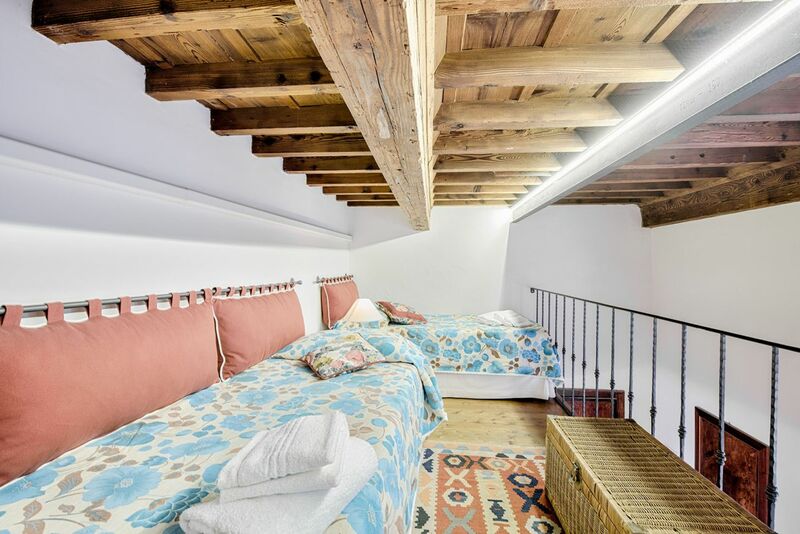 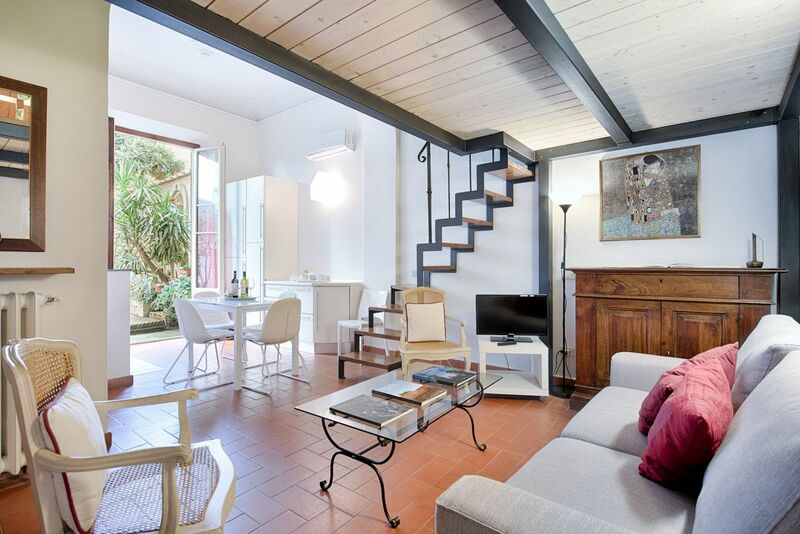 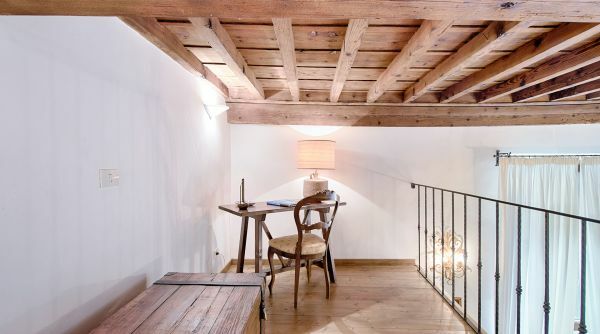 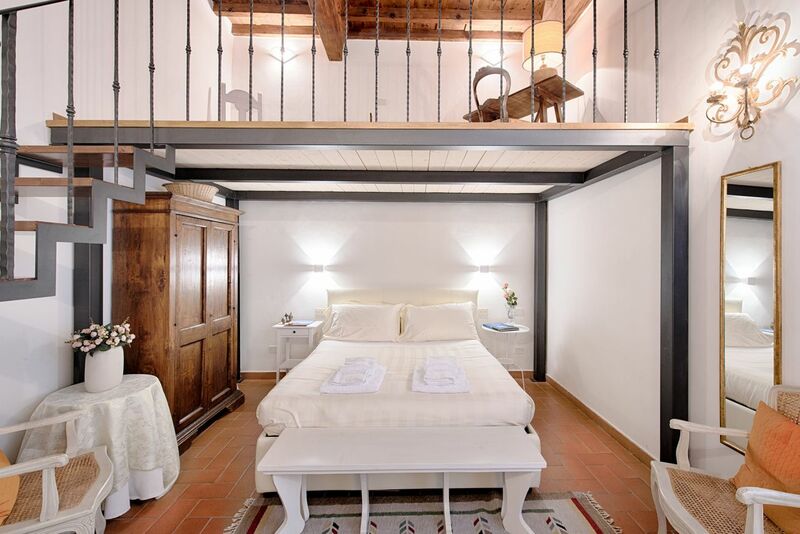 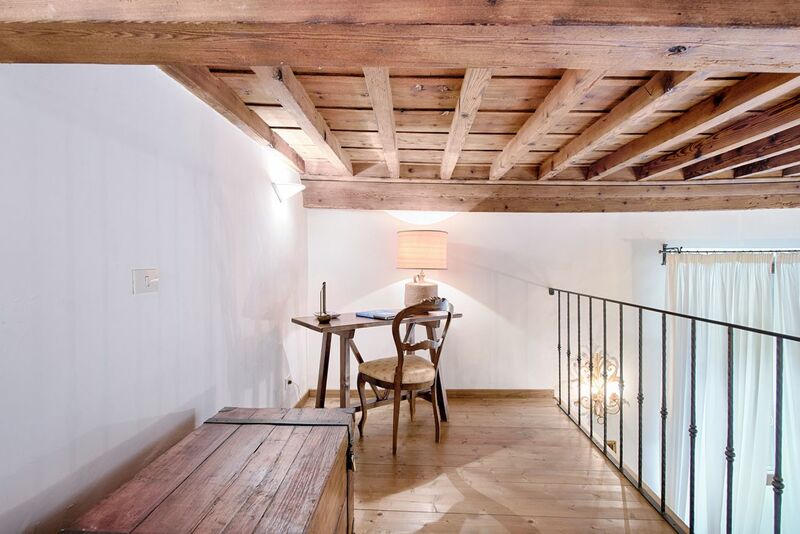 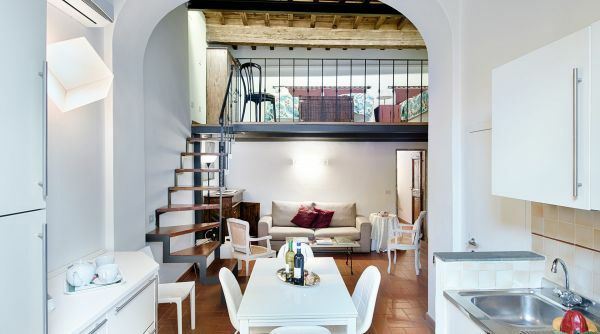 A short walk to Piazza Santissima Annunziata, designed by Brunelleschi himself and said to be the most beautiful square of the city, the apartment is an ideal starting point to explore the many delightful sights of the city. 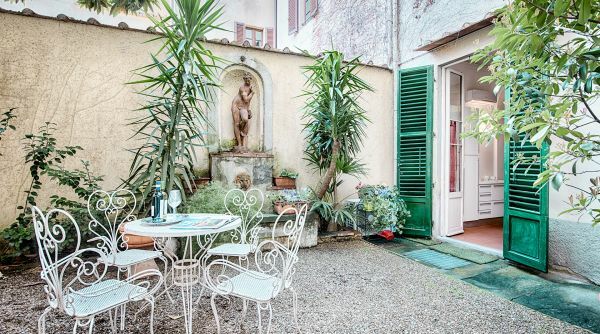 Within a few steps guests can visit the Museo di San Marco, the National Archaeological Museum of Florence, and the Academia which boasts Michelangelo's David. 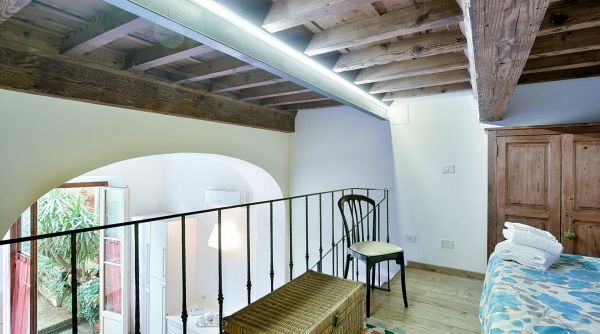 The house is located on the ground floor of a historical building, and is divided on to two levels. 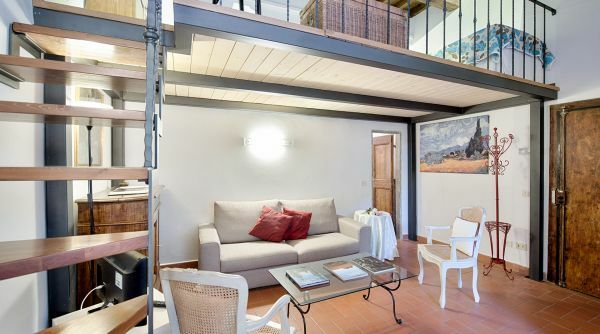 The ground floor hosts a double bedroom, a complete bathroom and a spacious living room with kitchen, dining room and television. 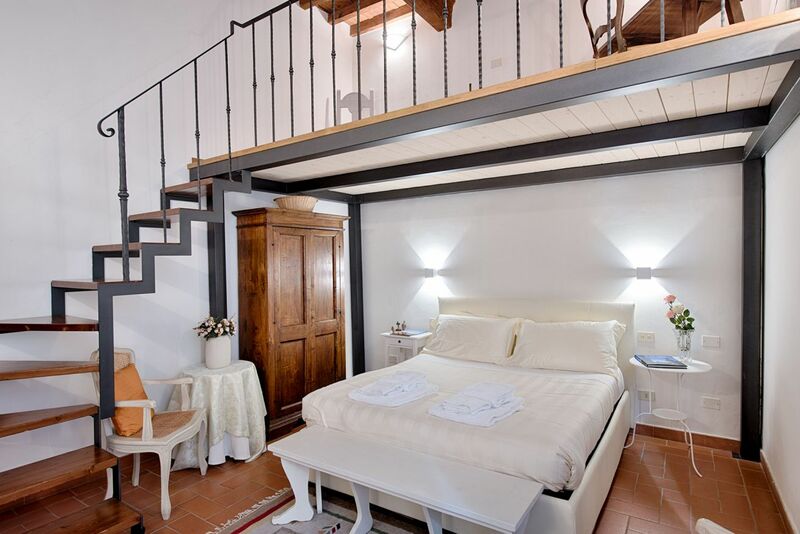 From the living room a staircase leads to the mezzanine, where there are two more single beds, allowing the apartment to comfortably accomodate a total of 4 guests. 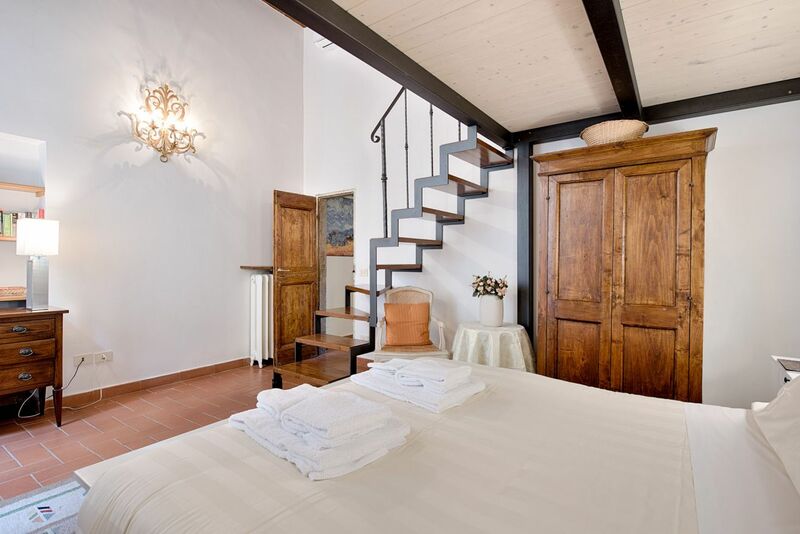 Guests will have unlimited internet access with Wi-Fi, air conditioning and independent heating. 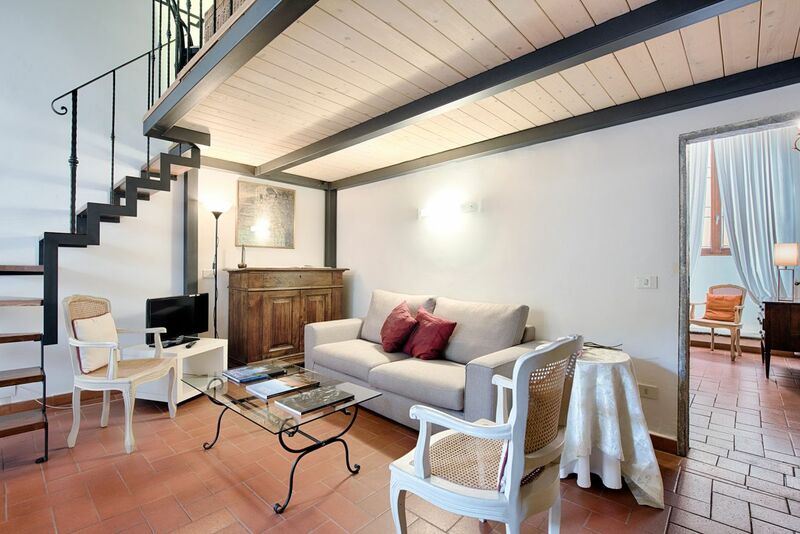 An ideal choice for a family or for a group of friends who want to discover all the wonders of Florence. 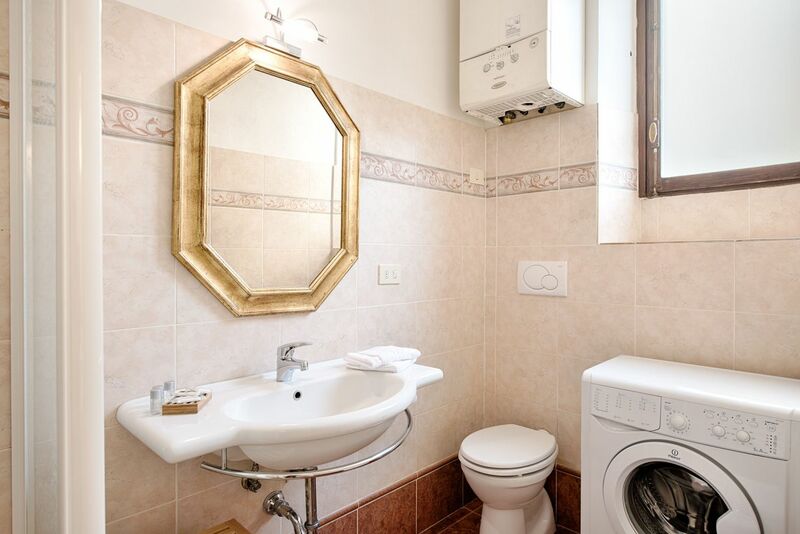 The apartment is located on via Laura, from which all of the major attractions of the city can easily be reached by foot. 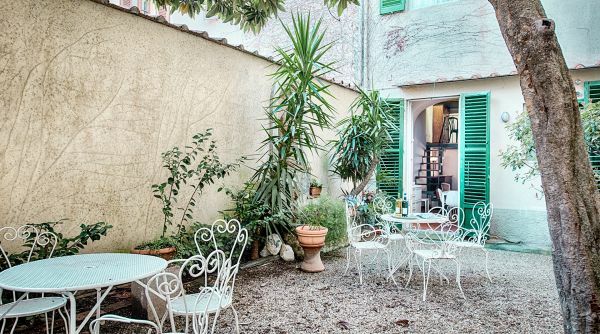 Immerse yourself in the rich history of the city, while enjoying the benefits of the peaceful interior courtyard: the perfect place to unwind after a day of sight-seeing. 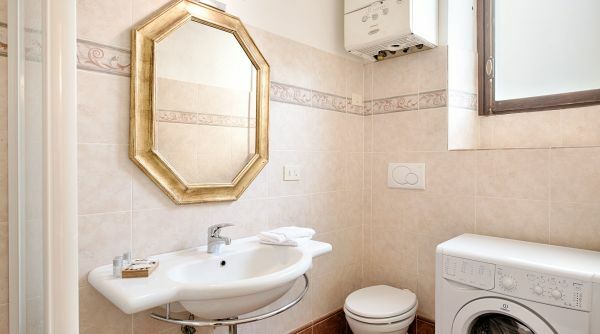 From Santa Maria Novella, the main train station of Florence, you can get a bus: lines 6A and 6B by ATAF. 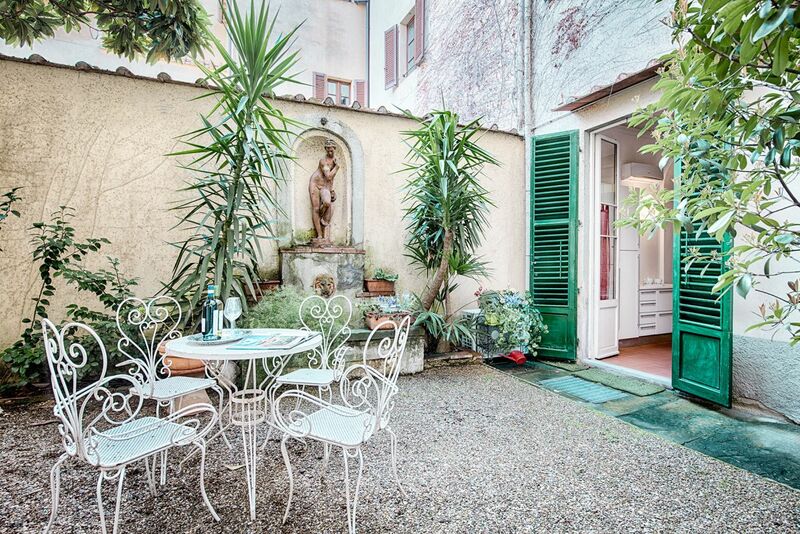 Just outside the train station you can also get a cab to get to the apartment in few minutes.